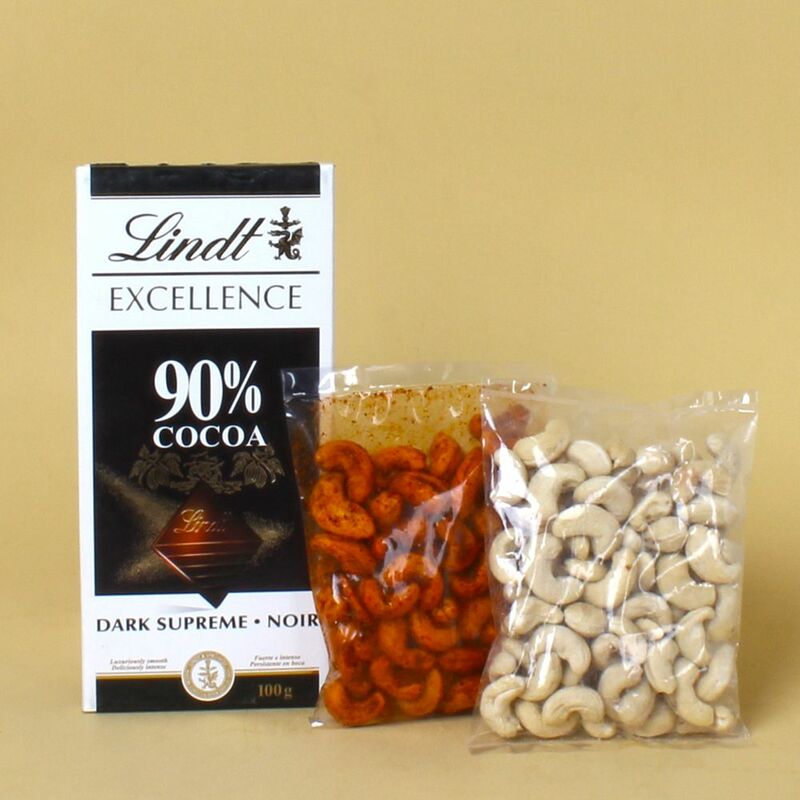 Product Consists : 90% Cocoa Lindt Excellence Noir Noisette du Piemont Chocolate Bar (Weight : 100 Gms), Crunchy Cashew (Weight : 100 gms) along with Masala Cashew (Weight : 100 gms). This Sweet Spicy Crunchy Combo is an ideal pick to celebrate joyous moments together with your friends and relatives. 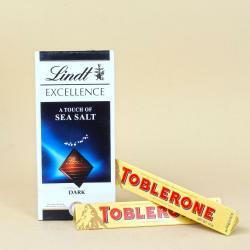 It includes Cocoa Lindt Excellence Noir Noisette du Piemont Chocolate Bar and Crunchy Cashew along with Masala Cashew. 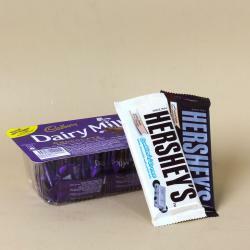 If your loved ones have a sweet tooth, then this is the perfect gift for them. 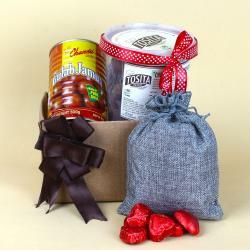 See their face light up when you present this delectable hamper as a surprise to them through Giftacrossindia.com give your loved ones the gift of natural goodness Like Cashew. This hand picked selection hamper contains our best products which will refresh your mind and soul with delicious taste of Exotic Lindt Chocolate and Crunchy flavours nut is helping the body to get back on track with a healthy lifestyle. Browse your favorite products, it is very conveniently available for online shopping from anywhere in India with Free Shipping. 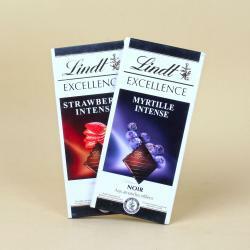 Product Includes : 90% Cocoa Lindt Excellence Noir Noisette du Piemont Chocolate Bar (Weight : 100 Gms), Crunchy Cashew (Weight : 100 gms) along with Masala Cashew (Weight : 100 gms).